When dealing with a huge platform like Amazon you’ve got to expect that there will be places where confusion sets in. This episode is an example of that very thing. Karon Thackston is with us today to help us understand the new items within the Amazon terms of service. Not everything is coordinated and not everything makes sense but if you learn how to operate within the Amazon guidelines your products were ranked better and your sales will increase. Karon Is here to help us navigate the changes and make sense out of all of it. Amazon says you should make sure your title is less than 200 characters. Period. The rules have changed many times over the years but now Amazon has a new guideline when it comes to the length of your product title. 200 words is the new limit and you have to be careful because the back end will not stop you from putting in more characters. But if you do you could be subject to a suppressed listing or even worse, Amazon could change the title for you and not allow you to change it back to something of your choosing. You’ve got to hear this one to believe it, and you can hear it on this episode of The Amazing seller. Be sure to watch the Amazon style guide for what is allowed. Nothing else. You can take a few minutes to click around the Amazon website and find conflicting guidelines for how you should list your products on their platform. But today’s guest, Karen Paxton believes that you should only pay attention to the Amazon style guide when you are trying to conform your listing to the Amazon standards. The things Karon shares on this episode are from the Amazon style guide and as you will see, are not all that simple. But Karon is a pro and can help you navigate it more simply, so be sure you listen. Why you should contact seller support over and over when you have issues. If you run into issues with any of your product listings and need to contact Seller Support it is likely that you will run into a support agent who doesn’t know the facts of how Amazon runs. Why would we say that? Because it’s absolutely true. You can call Seller Support and talked to two or three different agents and get two or three different answers to your questions. That’s why our guest today, Karon Thackston, recommend that you continue to call Seller Support until you get help with the things that you need. Eventually you will be able to talk to supervisor and get things straightened out. You should be careful with those search term fields from now on. It wasn’t too long ago that Amazon increased the number of Search terms you could enter in the search type fields in your product back end feels. But now they have come out saying that the search term fields don’t really need to be used at all as long as your keywords are included in your description and bullet points. But Karon Thackston doesn’t believe you will be penalized if you leave words in the search term fields, and is not recommending that any more experienced sellers go through their listings to remove them. You can hear the entire fiasco on this episode of The Amazing Seller. [0:03] Scott’s introduction to this episode with Karon. [5:00] Karon’s summary of what she’s covering for you today. [8:15] Another reason to build a platform of your own off Amazon. [9:56] The issue of title suppression (titles over 200 characters). [13:45] Why you should contact seller support if your backend doesn’t reflect the 200 character limit. [20:40] The new guidelines for search terms to optimize your listings. [25:40] Is any aspect of the product listing weighted more than anything else? [27:33] Scott’s recent keyword test. [29:04] Amazon’s latest guidelines for keywords (to kill keyword spam?). [34:34] And Amazon still says you should not use commas in keyword fields. [38:02] What Karon recommends to sellers who have been around a while. [41:14] The importance of split testing to ensure what’s truly working. [44:05] Do not use competitive product names in your listing anywhere. [50:08] Overly long content in the description, etc. is not advised either. [51:02] Taking account of common abbreviations and plurals in descriptors. …they want and they sometimes publically talk about it and sometimes they don’t talk about it, they just enforce it. A lot of times in the terms of service, the TOS it’s unclear. What I wanted to do is have someone who is an expert in this because she does this for a living, she actually works on Amazon listings, she also works on ecommerce stuff but more importantly she has to really understand the rules and the updates. Her name is Karon Thaxton. I’ve had her on before, couple of times actually and I always have her around when there’s updates or major updates. Well there is some of them right now so that’s what we’re going to be talking about. These new optimization rules and regulations. We’re also going to be talking about how to avoid a suppressed listing or as I like to call it avoiding the Amazon’s slap. Also we’re going to be talking about the best practices to help you rank your products and get them to convert better and there’s no better person than to have some like Karon Thaxton who does this for a living. Like I said, she works on a lot of different businesses selling on Amazon and she’s been doing that for years and she’s also a copywriting expert as well. It’s always great to chat. She’s always digging for information and she’s pretty persistent. She’s constantly contacting the seller support, the catalog team, different authority chains where she can actually go to a higher level. She’s always, always trying to find out the answers because a lot of times it’s unclear. She’s going to be able to distill all of this for us and break it down in bite sized pieces. [00:02:01] Scott: The other thing is she’s going to be sharing with us like those fields that we weren’t really sure of as far as like what they will do for us as far as the bullet points. That has been said that that will do nothing for your ranking, I disagreed but some people were saying, “Yeah, that’s what they say. I haven’t noticed anything different from my bullets or my description, they don’t really use that for ranking.” Well now they’re saying something a little bit different and she’s going to talk all about that and about the search fields in the back end of your listing. A lot of us know that recently they updated that where now you can put in up to 5,000 characters. Before it was under, I don’t think 100 it was like 50 per lines. It was 250 for 5 lines, something like that. They’ve since updated that and now they’re also saying that maybe we shouldn’t need to use all of those or we don’t really need to use the back end because the front end is going to be indexed. She’s going to break all that down for us and I just wanted to kind of give you guys an overview of what we’re going to be talking about. If you guys want to understand more about this which I think anyone selling on Amazon should, you’re definitely going to want to listen to this interview I did with Karon Thaxton. The other thing I want to remind you is the show notes and the transcripts especially for an episode like this. This is like a workshop. We literally broke it down. I asked her a ton of questions because I had a lot of questions and she goes through all of the points that she wanted to bring up that had been changed or that have been cleared up or that are still unclear. All of that stuff again can be found in the show notes on this episode which is theamazingseller.com/245 and there you can grab all of that. Like I said you can download the transcripts, the show notes are there, the links will be there and also the two episodes before that she was on was episode 86 and episode 155. Again those will be linked up in the show notes to this episode as well. I’m going to stop talking now so you guys can listen to this conversation that I had with Karon and again I asked a ton of questions myself so you’re going to want to listen to these. [00:04:06] Scott: Again these are questions that I had that you may have as well and it can only benefit us to be able to play by the rules and avoid any type of suppressed listing or Amazon slap as I call it so this way here we can keep our listings running every single day. Enjoy this interview with Karon Thaxton. [00:04:26] Scott: Well hey Karon, welcome back to the TAS podcast, what’s going on? It’s always nice to talk to you. How are you doing? [00:04:32] Karon: Doing great, visit number three, I’m glad to be back. [00:04:34] Scott: Yes it is and it’s funny because each episode that we’ve done in the past they’ve been really, really immediate. They’ve got a lot of great content, a lot of updates and I know that you have your eyes and ears open because you have to because that’s what you’d help people with right with optimization. [00:05:14] Karon: Where did that come from? [00:05:15]Scott: Yes. What are you going to be talking about today, getting us caught up or maybe just give us a little bit of a run down or an overview and then we can just dig in because I know you got a bunch of stuff to cover with us. [00:05:26] Karon: As usual I come loaded for bear. Well, last year actually speaking about the title suppression and July of 2015 Amazon sent out an email about that exact same topic and nothing ever happened. Everybody decided that as usual Amazon is saying one thing and doing another. It went by the wayside and nobody paid attention and like you mentioned, all of a sudden people’s listings are being suppressed and can’t figure out why and having all these issues. We’re going to talk a little bit about title suppression which is now in full blown effect and causing some hustles for sellers. Then I also want to bring some information about changes to the optimized listings for search and browse policy that Amazon made and bring you up to date on that. There’re some significant changes including the fact that for most purposes, search terms are now optional instead of being required in order to rank. We’re going to dig deep into that and some other things that are involved in this optimized search and browse change that is causing serious issues for a lot of sellers. Lots of people have been contacting us as a matter of fact saying, “Hey, what’s going on all of a sudden I just sort of fell off the face of the earth.” Between these two we may be able to offer some good help to some confused sellers. [00:06:56] Scott: What you’re saying though too is like one day you could be ranking and the next day those rankings kind of disappear or at least drop. Is that what you’re saying? 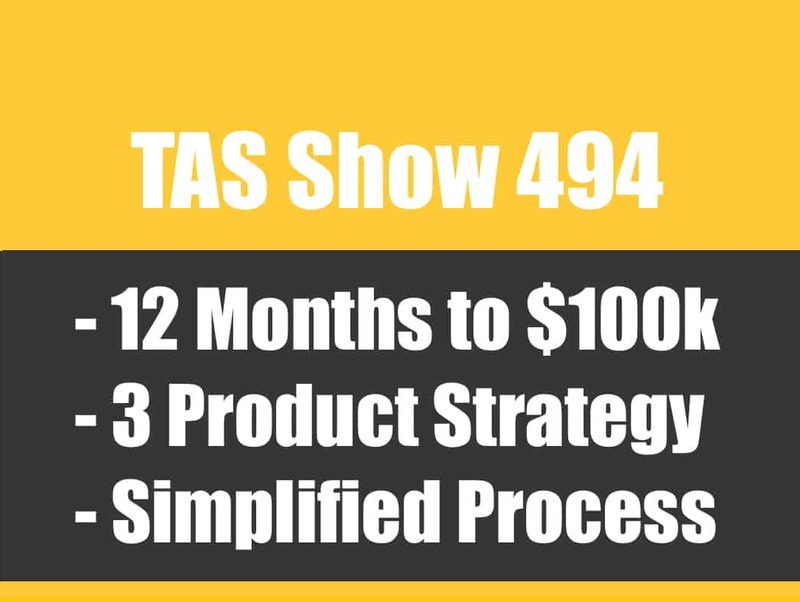 [00:07:05] Karon: Yes and we’ve actually had clients that sent us charts and graphs and graphics and things like that that said, “What’s going on over the last couple of months we went from…” One seller that just emailed us was doing $40,000 and he went down to about $2,000 a month. Literally their listing and all related search results vanished. It was matter of several weeks or a couple of months, I’ve forgotten what the time frame was. There’s a lot of things going on that. We at Marketing Words deal with words, writing words and keywords. That’s all we’re going to talk about today but there’s also issues where Amazon has made older sellers update to the new Amazon system. If you were a grandfather before and had an Amazon listing like that and if your account has been updated and you’re seeing things differently, that may be an issue but a lot of confused people and very frustrated sellers. [00:08:04] Scott: I can understand that, we all can. Again going back to and I’m not going to dig into this too much but people have already been hearing about that. I know that you come from the ecommerce space not just Amazon but another reason why we have to play by the rules but also another reason why we shouldn’t put all of our eggs in one basket. You know what I mean? Maybe we can even come on another time too and maybe talk a little bit about just ecommerce. Talking about how to optimize our own website and stuff. I had Spencer Haws come on who’s a great at it by the way and getting sites ranked and all that stuff but maybe be another conversation to talk about that. 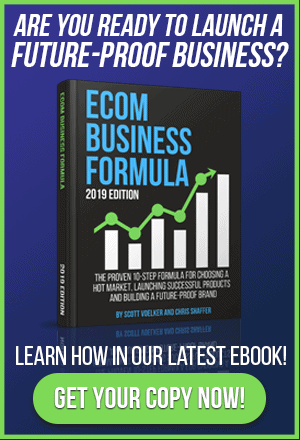 There’s a lot that goes into building a business not just on Amazon but if we are on Amazon we’re banking on Amazon not suppressing us or dropping our rankings. If it does happen and that’s all that you’re doing well guess what, that’s a wakeup call to say, “What the heck am I doing here?” Your business can be taken our overnight and it’s pretty scary. Hopefully you’re going to help us eliminate that or avoid that if at all possible by having us update and making these changes so this way here we can conform to their rules and regulations and stuff. [00:09:12] Karon: Well hopefully so and you’re absolutely right. This goes to all the ecoms that had exceptional Google listings years ago before Google started with the animal parade of panda and penguin and humming bird and all other stuff that dumped out a lot of ecom sellers especially the ones that were using canned copy that was provided by the manufacturer which was duplicated all over the place. In one failed swoop, all of their traffic went away because they had no other ways of driving traffic except through Google. The same exact thing, don’t put all your eggs in one basket. If all your eggs are in one basket we’re going to try to help you out a little bit. [00:09:51] Scott: There you go. Awesome. Where should we start? [00:09:56] Karon: Let’s start with title suppression because that’s going to take the least amount of time and then we’re going to dig deep into this new optimization policy from Amazon. In July 2015, like I mentioned before, Amazon sent out an email to all sellers to my knowledge that pretty much said, “If your title exceeds 200 characters, so if you’re 201 over or longer we are going to A either rewrite your title the way that we want it to be and not tell you that we’ve done it or B suppress your listing. Nothing happens for literally almost a year later and all of the sudden if you go in and do what I did I did some spot checking in a lot of different categories. I certainly didn’t get to all of them but when I was checking all of these titles even in kitchen, when you type in the word silicon which usually in the kitchen category would bring up all the spammy listings, anything made out of silicon. I found one listing in the top two pages that was five character over the 200 limit which is unheard of. I mean these listings had 300 character title and 500 character titles and it was just amazing. I’ve done checking in other categories, beauty and health supplements and things like that that were infamous for having extremely long titles and out of probably 75 titles that I looked at in a variety of categories I found a total of two that were longer than 200. One was 202 or something like that the other was about 210 so not much longer. It is in full blown effect now. If you have titles that are over 200 characters, you want to go in and change those especially if your listings are some of the ones that have dropped off the face of the earth as far as Amazon is concerned. You will look in at a product and you will see that it tells you, “You can have up to 250 characters in your title or some other number that exceeds 200,” it does not matter. [00:12:11] Karon: I have confirmed with the leadership team, I have confirmed with the catalog team, I have confirmed with the technical team that the suppression rule trumps what’s showing in added product. All of these are higher up reps that I’m working with are feverishly trying to get those numbers changed because it’s deceptive. Amazon tells you or it appears to tell you can have a maximum of 250 characters but if you do that they’re going to suppress your title. [00:12:39] Scott: It’s crazy to me though too. Amazon’s this big, huge business and they have so much money but they can’t change something as small as telling you how many characters to make sure that it aligns with their terms of service. It just makes no sense to me but anyway that’s just a little rant for me. There were some, this is a glitch and it’s now being corrected and baby and a couple of other categories where they had in added product when you hovered over the little eye to tell you what the characters were, 500 for the title which was a glitch. It was supposed to be 50 and somebody made a typo. It’s just ridiculous, absolutely ridiculous. [00:13:41] Scott: Yeah it is. [00:14:13] Karon: If they hear enough noise about it maybe it’ll happen faster. [00:14:16] Scott: Like you said just be a quick short email and send it in and if you get enough of them who knows they may be able to update that because it is. It’s going to help us but it’s going to help anyone else that’s in there that’s being confused, that’s being suppressed. [00:14:31] Karon: Right exactly. Some categories don’t even get up to 200 characters for the limit. Jewelry I think is 100, baby is about 80, clothing is 80. Those categories don’t even get up that high but home, pet, garden, consumer electronics and lots of others that will go up to that limit and then of course there’s Amazon’s quick start guide that says every category can have 200, they also will slap you for that. We’ve had people in clothing, they’re particular about clothing category and the client said, “Write the title to 200 characters I swear that’s what we get,” and when we put it up Amazon slapped them immediately and said, “Nope 80 or less.” Pay attention to what’s allowed in the style guide not in add a product or in a flat file, style guide is always your best bet for getting accurate information. If you’ve had an issue with your listing disappearing check your titles first to make sure that you’re below, to be safe I’d go below 200, 199 or less. [00:15:42] Scott: Now let me ask you one quick question, I know we’re going to talk about the back end, the search terms and stuff but if we’re removing some of that out of our title do you think then right away we should take and put in our back end somewhere? [00:15:51] Karon: Yeah, I do. We’re going to get into the point where Amazon talks about the fact that, they don’t word it this way but essentially they’re saying that search terms are optional because now they’re asking that you put them in different places other than the search term fields. Unless you got another question about titles let’s jump into that. [00:16:11] Scott: No, I think that that’s good. I just want people to understand too just with your title what Amazon really wants is just to know what the product is. They don’t want to know that it’s for father’s day or they don’t want to know that it’s for a certain activity. They want you to put like what it is. Stainless steel, garlic press, 9 inch something like that. Now that doesn’t mean that you can’t add in there but in the same breath, they don’t want you to put in there top quality, any of these influenced keywords that don’t really have anything to do with the product. One quick question on that though Karon is haven you noticed that they’re just suppressing the listing and you listing is now just not being seen or do you see it where they just chop off wherever it ends and then it just, the last one it just doesn’t really make sense or maybe they just cut off that last word. What have you noticed? [00:17:13] Karon: I have not.. Now I know that not every seller has not contacted Marketing Words to let me know what’s going on but the ones we have heard from their titles were changed by Amazon, some of them were and they were done in Amazon’s format; brand, product name, size, color, blah, blah, blah. Some of those they give you templates for what the title should be in the style guide. That’s something else that’s included in there. Many categories have something in there that say brand, product name, model name, model number, something unique. There is a little bit of room if you got some bonus you want to include or whatever to put something unique in there but most of them are saying that they’ve just fallen off the face of the earth that even when they type in exact content from their listing they’re not showing up or they’re showing up on page three or something like that. Even if they type in a whole bullet point that’s on there or something to that effect. Somehow or the other Amazon is just shoving those way, way, way down at the bottom. 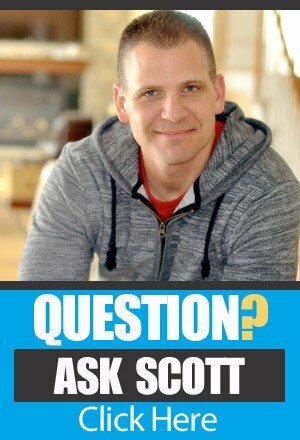 [00:18:18] Scott: I’ve noticed it twice there’s two brands that I’m working with and I’ve noticed two things. One was suppressed totally and it basically just said, they didn’t even notify me, if they did it went to my spam folder because I didn’t notice it and I went in to do an update myself to edit it and it said suppressed. Then I went in and I looked at the reasoning and they told me it was title. I fixed it and then it was unsuppressed. Fine okay that was fine. The second one was they changed it to what they wanted it to be but then also I had to go round and round in order for them to let me change it to what I wanted it to be within those characters now because they were like, “No you had it wrong, now we want it right and this is what’s right and we’re not going to let you change it basically.” Then I had to go back and forth, back and forth until they were able to let us edit it now. I had two different scenarios so I think it’s just going to be again whoever does it, wherever filter it goes through, it could be different for everyone. [00:19:15] Karon: It could be and we have now that you mentioned not being able to edit your own titles we have had several clients that have emailed us over the last couple of months that said, “What is this? We’ve been able to make changes to our listings and now we can’t or can’t make it to the title,” or whatever section they were talking about and that was probably at the beginning stages of Amazon making this title suppression full blown. It’s taken, right now it’s August so it’s taken him a year to actually put this in effect full force. When you’re a monster sized company things take time. [00:19:55] Scott: What did you do? Did you just contact them to try to get that so you could be able to edit those titles? [00:20:40] Scott: That’s right, we promise. [00:20:42] Karon: Please, please, please. [00:20:43] Scott: Yeah please. All right cool. Let’s dig into the, I believe you want to talk about the search fields. [00:20:50] Karon: Yep. Optimization for these listings. Now, I am going to go over, this was actually highlighted in Amazon seller support homepage on their headlines section, July 3rd. It’s been about a month now but the page was changed months before that and they didn’t say a word about it. They put it up but if you didn’t happen to go to that page and notice it. Thankfully everything on here with the exception of not putting key phrases in the search term fields, which I’ll talk about in a second, are things that Marketing Words has always done with Amazon listings because it made sense to do so. If you have not been doing these things already then you want to take some notes to make sure that your listings are up to par. What’s going on here… I’ll read bits and pieces of this to you and then we can discuss it. One section in the very beginning says, “Customers search by entering keywords which are matched against the information, the title, description etc. you provide for your product. Factors include, these are the same that have always been, the degree of text match, the price, the availability, the selection, the recent sales history and a list of some other things.” All of that part is the same. Then it talks about, “Each individual word and the product name the title is searchable on its own,” and that’s also the same as it has been in the past. The same applied to the search term fields previously that every term was searchable on its own. What they are changing now is that they’re saying information provided in the product description in bullet points is searchable by customers. They’re coming right out and telling us that. They hinted to this when they redid the home garden kitchen, pet style guide back in December of 2015, I think it was in December. They hinted around at this. Now they’re coming flat out and saying it that they’re now using the bullets and the description as part of the search algorithm. Now that part is searchable. [00:24:12]Scott: They basically don’t want us to repeat. [00:24:13] Karon: Well relevant information that’s not already in another field. If you have a keyword in some other field, if it’s in the title Amazon is saying it does not need to be in the bullets or the description or the search term fields. Now ‘doesn’t need to be’ doesn’t mean that you’re going to get penalized if it is there. It just means that it’s not a requirement for search. What they’re trying to head off here is people that were pulling a Google as I call it and they mistakenly believe that, pardon me, excuse me goodness, that Amazon operated the same way Google did. You’ve never had to repeat keywords in Amazon. You put it in the listing once they got it, no problem. They’re trying to have folks that have been over-optimizing these listings to back off some. There’re some things that you’re going to have to do if you have a stainless steel insulated water bottle, that’s what the thing is. It may also be a keyword or a key phrase but you’re going to have to call it a stainless steel insulated water bottle throughout your listing because you’re talking about it. [00:25:27] Scott: You’re talking about it. [00:25:28] Karon: That’s fine but just don’t, they’re saying here you don’t have to reach any type of percentage of keywords in a listing or anything like that. [00:25:39] Scott: Now, what do you think though about is there, and I know there’s probably not any way to really figure this out unless we did a test but maybe you have or maybe heard people that have, what is weighted the most? You know what I mean? Is the title, like we’ve all heard the title is it, that’s where you’re found and then the other thing is just kind of like Amazon picks up bits and pieces just like Google. You title when you’re going for an article that you’re writing is going to be the title, is going to be the heaviest and then it’s going to go to the H2 tag and then it’s… Is there any evidence of saying the title is, like that is where the keyword needs to be if that’s your main, main keyword or wouldn’t it matter if it was in the bullet or description or the back end? [00:26:23] Karon: I have been told by two reps at Amazon, I don’t know remember what teams they were on but they were higher up than your just general front line seller central reps which generally don’t know a whole lot about keywords at all. These guys were telling me that the stuff above the fold held the most weight which would be the title and the bullets. [00:26:47] Karon: However, that was months ago before Amazon released this. We’re going to have and see what Amazon says and what you actually find on there are often… and I tell what it just gets so irritating because I had a conversation with a front line seller central rep, the guy refused to connect me to somebody else. He was going to help me or die, one of the two. I’m asking him all of these very specific questions about the updates on this page, this is weeks ago and I would ask the question one way and he would say, yes that’s what you need to do. I would say, okay so then blah, blah, blah and I would ask the same question a different way and he would say correct, you don’t need to do that. [00:27:31] Scott: That is funny. I did a little test recently actually it was about a week ago, not even a week ago, about 4 days ago and I took one of my competitors they had a keyword in their title that I didn’t have in my title. I actually didn’t have it in my listing because it wasn’t really, it didn’t seem like it was going to be that big of a keyword but I wanted to test it because it wasn’t anywhere in my listing at all. What I did is I put it in the search field in the back end only in the back end and within literally 12 or 14 hours I was ranking for that keyword and it was not that competitive of a keyword too which some could say well that’s why you ranked but it still showed me that Amazon indexed me for that keyword in 12 hours. [00:28:17] Karon: But did it hold? [00:28:19] Scott: That’s a good question. [00:28:20] Karon: Ten weeks later was it still, because I find that a lot. It’ll show up instantly and then it’s like it sort of has to filter through the system and maybe a few days or a week later it’s gone. [00:28:30]Scott: You know what I’m going to do while we’re on here while you’re discussing more things I’ll look at that real quick and I’ll report back but I was just surprised that they at least indexed it. It showed me that it was looking and it was doing it on a regular basis. It was just like they had a 24 hour thing, it was frequent and then from there also that it actually picked it up. That’s a good question though. Again we got to see if it holds but it did show me that they indexed because I wasn’t anywhere on the map and then all of a sudden I put that in and all of a sudden I’m on the map. All right let’s move through this. [00:29:04] Karon: We were talking about the keywords should have relevant information and not already be mentioned in the different ways to the point of you don’t have to constantly repeat all of this stuff. They go on to say, “If a keyword provides valuable information about your product then it belongs in the product description or the key product features which are the bullet points not the search term field.” It gives an example of an all-in-one printer and says that you would be better off to include words like scanner and copier in the bullet points instead of in the search term fields. They go on to write out, “Nothing to hide here, you are not required to provide keywords for your products. There’s no additional benefit in providing keywords except when they contain unique information that doesn’t fit in any other non-keyword field.” I’m wondering if in doing this and this is me wondering, I don’t want people saying, “Karon said Amazon’s doing this.” No, this is me being curious. I wonder if they are trying to contain all the keyword spam that’s going on by… It would appear to me that if they’re saying that all these left over keywords go into the search term fields now that possibly they are devaluing the search terms a little bit. Absolutely not getting rid of them because like you just said you pop one in and kaboom it proves that they’re picking it up. By saying that you’d be better off to put them in the title, the bullets or the product description there’s a finite amount of space in all of those. I have not seen any evidence of that. Amazon goes on later to say that they will ignore irrelevant keywords and I’ve forgotten how they phrased it exactly but which leads me to believe that if you have a keyword in your bullet and it’s also in the search terms it isn’t going to hurt anything, it just isn’t going to help you. I have not seen any evidence, if what they’re saying here were retroactive to all these old listings that are up now all of the sudden you wouldn’t be able to find anything on Amazon. [00:32:17] Karon: Nothing, I mean the entire system would crash because everybody’s being doing it the old way for so long. I’m not exactly sure that I trust this right now so for the time being anyway we are still recommending and when we create product listings for clients we are still creating terms to go into search terms and they will duplicate what’s in the bullet points and what’s in the product description not in the title. We’ve never duplicated from the title to the search terms because that was the way that you did in the beginning. We will leave those in there and then we’ll have to just watch and see. If we take it out of a search terms and leave it in the bullet, are we still holding okay? Did it waiver, did it crash? There’s a lot of testing to be done. Do you know what I mean? Which one did they really pick up on? But by me only putting it in the back end in the search field then I know that that’s the only place it is in my listing so that’s the one that actually helped. Actually while you were just talking I did, I went through four keywords that I tested differently with but all in the back end and you’re right two of them stuck and two of them didn’t. Two of them could come back, like you said they could just be doing a little bit of a float here but in the same breath two of them did stick. Why? Don’t know but I did the exact same thing for those keywords and I put them in the same exact spot. It’s interesting and it’s funny because the ones that stuck are actually more competitive keywords. Interesting. [00:34:21] Karon: Very cool. We see that a lot where sometimes they’ll stay around for a while and other times for whatever reason Amazon says, “Nah, that filtered through the system and we don’t like it,” so they kick it back out. [00:34:33] Scott: The other thing is too real quick going back to titles or even in the search fields, what’s your thoughts on commas? [00:34:43] Karon: They’re repeating in here that use a single space to separate keywords, no commas, no semicolons, no carrots are required is exactly what Amazon is saying. That’s what they’ve said for a while although I have found pages in seller central that say you use a comma, I’ve also had lots and lots of clients who have told us that front end seller central reps the ones that you get in contact with first have told them that they should use commas. I shake my head at Amazon a lot. [00:35:18] Scott: Again it comes out of testing though, you know what I mean it is like try it without, try it with. I’m looking at too as far as if you’re putting a title together and you want to break something because, you don’t want to just run together, would you use a comma, would you use a hyphen what would you use in that case? [00:35:36] Karon: It kind of depends on how complex the thoughts are in the title. If we got a bundle or something that we’ve got 3 entirely different thoughts going on, I might stick a pipe in there. Vertical line that goes up and down. That’s the key board character so it is not like a special character whatever that’s fine and it flies. Amazon doesn’t like you to use dashes in titles and hyphens in titles and I’m not exactly sure why they have never explained it but we don’t put those in very much. We will use commas, sometimes as well. Other times we have used slashes like marketingwords.com/whatever, sometimes we will put a slash in there for different reasons. [00:36:22] Scott: They seem to be okay? [00:36:24] Karon: It seems like, I mean obviously they don’t want exclamation point,they don’t punctuation exclamation points or question marks or any of this stuff. Dashes they’re not a fan of, special characters like the trademarks symbol or registration mark or something like that they don’t want in there. If you can find it on your keyboard pretty much you’re okay if it’s not something in there. Of course no HTML they don’t want you to try put that either. [00:36:53] Scott: No, that’s good to know because there’s been a lot of, “What should I put in there? Is it hurting me?” That’s a good rule, if it is on your key board there is a pretty good chance that it is going to be okay and again I would just play it safe. I would want to put in something that wasn’t on there like you see some people putting on like the bullet of a star or, you see those things? Again we are going back to like, will it fly for a little while? Maybe but it might hurt you in the end too when you get suppressed. [00:37:27] Karon: Well I still believe there is tons and tons and sellers that have come to Amazon from eBay and on eBay everything goes. I don’t think they bother to read the enormous amount of conflicting information that seller supporter provides. If they have they’ve gone screaming from the room, because it is an enormous amount of conflicting information. There is lots and lots of rules and regs when it comes to this but you should have to see what happens. [00:37:54] Scott: Let’s just go back to like the older sellers that that have had already listings up. Again let’s just go back to that real quick, what would you recommend for them to basically do? Would you recommend them to go through all of their listings or maybe do the most important ones that are selling the most and then work yourself backwards, like what would you be your advice there? [00:38:15] Karon: If there are listings that are not selling very well… For me I tend to want to experiment on something that I don’t have a lot to lose. If you are running tests, you’ve got listings that aren’t performing all that well maybe you want to start working on those first. I am not going to go to all our clients and tell them you need to search through the copy and remove any key words in the bullets and the product description from the search term field, no. That would be way too big of a risk right now. If you want to play around with them like Scott was saying earlier you need to be able to identify what worked and what didn’t so literally one term at a time and I would play with a handful of listings that are at the bottom of your conversion ratio so that you are not messing around with your money makers and watch for patterns. Okay we have taken this so far, we’ve done this with 10 different listings or 2 different listings if you only have 10 up on Amazon something like that, a small number and we’ve seen these results in every case or in three quarters of the cases. You’re probably safe to move on and do a few more what not. Once you get a feel for it and you are able to see this crushes every time or this makes an improvement every time or almost every time, then you can start doing it with the more of the listings. Amazon has a very forgiving platform. When you are doing any kind of test at all, if you see a negative result put back an exactly what you had before and 9 times out of 10 it would go back the way that it was. [00:40:26] Karon: Exactly, and then you always have to go in and look at the data. A lot of people say, “Well I had three sales before and then I made this change and I had five sales a day, after that.” It could be the five sales a day, believe it or not, is a reduction in your conversion rate. Because if that change that you made started bringing lots more traffic to your site for a particular keyword, for example, but the majority of those people bounced, they didn’t purchase even though you got a couple more sales per day, you conversion rate went down. Amazon is going to say, “Whatever they did has made this listing not convert as well as it used so we’re going to start demoting it in the search results.” Check you data, check your reports. [00:41:16] Scott: Yeah check your reports and I know we had Greg Mercer on talking about Splitly. I’m a fan of it, I’ve been using it. Again it still takes time though, you have to set up the test and let it run. You can’t just do it like for three days and go, “Oh ok, there is the results.” It takes time and it takes patience because like you just said we have to do one thing at a time. If you’re testing a title and you want to see how that does you have to give it at least two weeks in my opinion. You’ve got to give it at least two weeks depending on how much traffic you’re getting. If you’re getting like 500 people to your page every single day. Maybe we can do it in a week, I don’t know but I’ve been using Splitly it works really, really good. Guys I’ll link that up again in the show notes as well. If you guys are interested in using a software that actually manages that for you. What it really does is it does it daily versus doing it once waiting two weeks and then coming back to doing it again. It’s pretty cool but I think split testing is huge for any business, whether it’s doing this or Google or doing a landing page or whatever it is I think it’s so, so important and so valuable because you can just… If you just increase your percentage by 1%, I mean that’s a significant thing when you’re talking, maybe you get 500 people to your page a day, at least you get five extra sells. [00:42:29] Karon: Right and we usually suggest that they go by traffic levels and not by number of days. That way it doesn’t matter. I mean if you had a listing that was getting… It’s a new one and you’re just started and it’s getting 100 hits a day for example then you want to wait. If you wait a week that’s going to be 700 hits to that page. When you make a test put that into an affect you need to give it 700 hits. [00:42:54] Karon: 700 visits to that page again so that there is an equal amount of traffic otherwise your test is skewed. [00:42:59] Scott: Yeah, absolutely. It’s totally skewed, and it’s skewed also if you’re doing this around maybe a popular time like prime day or something like that, right? [00:43:12] Karon: In the summer, especially right before parents start spending an ungodly amount of money on back to school stuff sales kind of slump, every summer because they have to wait and spend it all on the kids. You got to pay attention to that kind of stuff too. I am search a testing geek, that’s just so much fun. [00:43:30] Scott: It is fun. [00:43:32] Karon: It takes a lot of time to go in and dig around and go, “Well see, it didn’t work out well as we thought because A, B and C didn’t equal D, E and F.
[00:43:44]Scott: That’s the thing to, you might do a test and you get less sales or you get a less conversion. Now you know that that test didn’t work. Now we got to put the back to the original, and then start from there use that as our… As they call it, a control. That’s the one that we’re using as the base test and then we’re going to through something else on top of it that we can test as well. Awesome, so we pretty much went through a lot of what you wanted to cover, was there anything else that we missed? [00:44:11] Karon: Yes we didn’t go through everything yet. [00:44:13] Scott: Okay, keep going. [00:44:14] Karon: We chased the testing rabbit down the trail so now we have to come back. [00:44:18] Scott: Okay, bring it back, bring it back. [00:44:20] Karon: We left off with Amazon saying that you’re not required to provide keywords in the search term field. We’re assuming that Amazon now wants the vast majority of your keywords to be in the bullets in the product description. You do not want to simply fill your bullet points and your description with keywords because your conversions will tank. That could possibly, underline possibly, make you rank a little bit higher until people get to the page and find no useful information about your product to help them convert and then all of a sudden you’re going backwards again. It will turn around and bite you. So Amazon is saying do not provide an accurate misleading or irrelevant information in your keywords. Among that they have added such as competitor product names. We get this asked all the time, “Can I use competitor’s names in my search terms or in my listing?” You cannot. You can use complementary product names or brand names but not competitive. If you have a pet supplement will say, and it’s essentially the same as some name brand pet supplement out there. You would not put the name brand pet supplement in a search term or in your listing in the keywords or in the description because you are competing against this product. Here is a good test. Would a shopper on Amazon buy your product and this other product? Or would they buy your product or this other product? If it’s a choice between one and the other, then you’re competitors. [00:46:09] Karon: If they would purchase for example… They would go to a Crossfit gym or purchase something from Crossfit which is a brand name and also they would purchase your particular jump rope or your particular exercise mat, and they would use them together then they’re complementary. [00:46:35] Karon: So if you’re competing against each other, then no you can’t put that in your search terms. [00:46:40] Scott: Now and that’s a little fogy for me because here is the deal. Let’s say for example I make a filter that goes into a Dyson vacuum, so I can’t put it in there works well with the Dyson? [00:46:54] Scott: Okay so I can’t do that, I can’t say that by this basically you’re saying that this is a Dyson filter. You’re saying this works well with… Or can be used with Whirlpool refrigerator because I sell a filter for that water or whatever. I’m basically saying this works… This fits this model, this fits this. I know I just had Chad Rubin on and that’s his whole business. He sells replacement filters for name brand things. I would think that’s a great way to tap into a brand without actually being the brand. [00:47:28] Karon: Exactly and that’s back to our test because you would buy that filter and you would buy that Dyson vacuum. [00:47:35] Scott: Sure, okay good. [00:47:47] Scott: I got something I’ll jump in here. If they’re saying listen, “Karon don’t put search terms in the back end. Don’t put them in the search fields,” but they just gave us 5,000 characters now. [00:47:59] Scott: What do I do with all that? [00:48:01] Karon: Well now and here is another thing, just because you can do something doesn’t mean you have to. [00:48:06] Scott: No, I know, I know. But it’s there right? [00:48:08] Karon: Or that it’s even a good idea. You and I did a blog post on this when we had a couple other people jump into. I saw this coming a mile away, I’ve never been a fan of just shoving any old keywords over there for the purpose of filling up 5,000 characters because you get irrelevant traffic coming to your listing that doesn’t buy, so you get a tone of traffic. For the amount of traffic you’ve gotten you get very few conversions so your conversion rate falls, your rankings fall, your sales fall and then all of a sudden you’re in a spiral. [00:48:42] Scott: Yep, I agree. I agree with that. [00:48:44] Karon: So I don’t know why they did that unless they just opened it up and say we’re not going to restrict it anymore because they were thinking about making this change. [00:48:53] Scott: I tell people to just be smart about it. Put relevant keywords back there. Now that they’re saying that… Before they were saying, “No the bullets they don’t help you get ranked“ and “oh the description no that doesn’t help you either, that’s just there to educate the people that are coming into your listing”. Now they’re saying, “No we want you to put all the keywords in the front end because that’s what we want the people to see and we’re going to actually pick on that, we’re index that.” Now what they’re saying is you don’t really need to use the backend anymore. [00:49:25] Karon: Unless it’s something they were saying you don’t put them in the search term fields unless it’s something that wouldn’t fit in the bullets and the description which should be your most important keywords. Should be there and then if there is other things that you couldn’t fit in there, and sure there will be because there is such a limited amount of space for that, then those are what go into the search term fields. Again they do say, it’s optional you’re not required to provide keywords for your products. [00:50:41] Scott: It’s a grey area for sure. [00:50:44] Scott: Okay so what else do we want to cover hear before we wrap this up. I know that we just went into a ton that people can take away and actually go out there and do and take a look at their listings and stuff. What else before we wrap up, would you like to let people know about optimizing in these areas? [00:51:01] Karon: I want to encourage everybody to do a little test with this one. Amazon says they keep insisting that they provide variance with spacing and punctuation and whatever and they account for that in the search results. We have done extensive tests on this. For example, they’re using the 80GB for gigabyte for a USB drive and an external USB drive, they have it listed as 80GB with no space, and 80 GB with a space, and computer versus computers, singular and plural. If you go into Amazon and you type in computer hard drive and you check maybe the four or five listings that are there, make a note of them. Go in and put computer hard drives with an s.
[00:51:50] Scott: With an s okay. [00:51:51] Karon: Or this 80GB with no space, and 80 GB with a space and then check to see if Amazon sees them as identical. You’re going to get the exact same results on the search page. If you don’t, Amazon is not seeing those two terms as equal. Which means that in your backend probably, you would use the one that gets the higher search volume would be my recommendation so if 80GB with no space happens to be it then you will put the one with the space in your search term. This is something where Amazon says that they account for that, and that you should not do this. If you’re really particular about Amazon’s rules and regs then you don’t want to do what I’m telling you to do. When I tested and it doesn’t come the way that Amazon says it is then that tells me I need to account for that other variation. [00:52:41] Scott: Yeah. Again it’s them saying one thing and not performing the way that they’re saying it is or coming out the way that they say it is. Again plurals can be a big thing because some people search by that way or who knows maybe they were looking for more than one, but that’s really what people look for. So it won’t show up unless you have that s on the end. [00:53:02] Scott: Or the space like you said. [00:53:03] Karon: Exaclty and Amazon gives a note that wasn’t there before and this is what I’ll end with just so that you know. Amazon says they reserve the right not to use all the keywords you supply for retrieving products and that could include reasons of search efficiency, potential manipulation of the search results. Irrelevant search terms being included or offensive terms or illegal terms being included so you just want to remember that the majority of your heavy hitters when it comes to keywords need to be in either the title, the bullets or the description you do not, underline not, need to put them in all three of those places. At least for foreseeable future until I get a good handle on what’s going on with this, we will still recommend that those terms are in the search term fields as well. Worst case scenario, they’ll be ignored. It won’t hurt to put in there the best case scenario, it could still help you out for a while. [00:54:10] Scott: Yeah I agree. This has been awesome, this has been like a little workshop in itself so I want to thank you for coming on. I know I got a little bit more clarity and I love having you in the trenchs is really being able to read through a documentation and get all of the facts at least as clear as we can. I want to thank you again for coming on. I definitely want to keep in touch with you because again you bring a tone of value because that’s what you’re doing. You’re working inside of people’s businesses every single day and you get to see a lot of the things that are working and are not. I just want to thank you again for coming on Karon. We’ll link up all of the different things that we talked about hear. We’re going to have transcripts and all that as well. The other thing is if anybody wants to check out the very first episode with Karon you can go to theamazingseller.com/86. Again they’ll be linked up on this episode show notes and episode 155 so that will be theamazingseller.com/155 and if anybody wants to check out Karon’s… She’s got training, she’s got an eBook, she’s got services that she’ll do for… It’s ‘Done for you’ services, you can head over to theamazingseller.com/optimize and you can go ahead and get all that information from Karon and reach out to her and see some of her stuff that she’s doing to help sellers like us. So Karon I want to thank you once again for dropping in and sharing a ton of knowledge. I know I learned a ton so I want to thank you once again. Is there any last words you want to leave people with? [00:55:44] Karon: Go make a lot of money. [00:55:46] Scott: I like that. I like that one a lot and for those of you who don’t know Karon and I are neighbors now. We’re in South Carolina together. I’m learning my way around here, enjoying the state and I know you’ve been here for… How many years have you been in South Carolina now? [00:56:02] Karon: Way too many to count. We got here when I was about six or seven years old. [00:56:06] Scott: Okay, I didn’t realize that. I thought you actually moved there when maybe when you got married or something, okay. I remember you telling me though before that you were in your house you said that you were only going to be there for a couple of years. [00:56:19] Karon: Yes, and we’re still here so I hope… It’s just how life goes. [00:56:23] Scott: Is that how it works sometimes? Yeah it does right? [00:56:25] Karon: Welcome to the neighborhood go Gamecocks! 56:26] Scott: All right Karon thank you so much I appreciate it. [00:56:30] Scott: Take care and I will talk to you soon. [00:56:33] Scott: All right so there you have her. I mean Karon always delivers, she’s always on top of it. So I’m always, always glad to have her on the podcast to keep us really up to date with what we really need to be paying attention to. There’s a lot going on between those terms of service and a lot of time we don’t know what is right and what is wrong and we still might not but at least we have a better idea. I want again to thank Karon for coming on and delivering such great value for all of us to go out and really evaluate our own listings, our own products or if you’re just creating a new listing, it’s going to help you there as well. I want to remind you guys if you want to download the show notes and the transcripts head over to theamazingseller.com/245. Again that’s the amazingseller.com/245. You can grab all the notes over there, the show notes that is, the links. The transcripts are downloadable over there as well and also the other two episodes that Karon came on and gave as some more insights as far as the optimization goes and some updates. That would be episode 86 and 155. Again, I’ll throw them in the show notes for you guys at theamazingseller.com/245. Also if you want to learn more about Karon and her services and her training about really listing optimization, copyrighting, to convert better, all that stuff. Head over to the amazingseller.com/optimize. Again that’s theamazingseller.com/optimize. You can go and see everything that Karon has to offer over there and if you want to hire her great, if not that’s cool too because she just gave you a ton of value right here. Definitely, definitely recommend her and her services and her training over there. All right guys so that was a tone of information. We have to just take a deep breath and distill that down and then go take some action. That’s pretty much going to wrap up this episode. I want to remind you again, that I’m here for you, I believe in you and I’m rooting for you but you have to… Come on say it with me, say it loud, say it proud, say it with convection, “Take action.” Have an awesome, amazing day and I’ll see you right back here on the next episode. I can’t seem to find the recording? Scott help!